Sometimes the world just feels overwhelming, and you wonder what is wrong with you. The good news? Being highly sensitive isn't weird or wrong. It's a perfectly normal trait held by 15 to 20 percent of the population. As a sensitive person, you may believe you're weak and less resilient than others, but nothing could be further from the truth. Highly sensitive people and empaths are gifted with unique skills, making them more creative, intuitive, conscientious, and empathic. As the rarest of the Myers-Briggs personality types, INFJ is the most often misunderstood. Unfortunately, many INFJs don’t understand themselves, either. The INFJ personality type is complicated and can require introspection and self-awareness to understand how to use the strengths of this personality type to your advantage. With this guide, you will be armed with the fundamental knowledge you need to understand yourself as an INFJ. Learn how to play to your strengths as an INFJ so you can get more out of life, both personally and professionally! Get two books in one! This is a bundle of two of the most successful books on highly sensitive people on the market. These books provide proven tips and strategies for living as an empathic person - at home, on the job, and in social settings. With this inspirational and practical knowledge, you can cope with your empathy - and use it to improve your life! First of all: this is a book for HSPs, and they chose THIS narrator!!? I had to take a break every 5 min. because her voice is horrible and robotic. This is a waste of time. It's HIGHLY generalizing (!) and adds nothing you can't find in every article online about HSP. 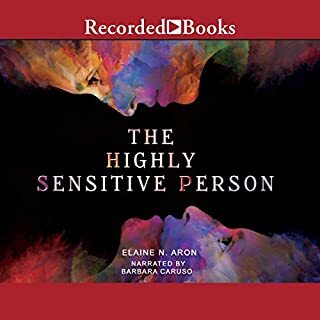 Instead I recommend reading "The Highly Sensitive Person" by Elaine N. Aron, Ph.D.
this book really helped me understand what I've always felt and explain other things I didn't know we're due to me being an hsp. it gave me ways of dealing with my attributes. For the first time , I. would rather be myself than have myself. Just what I needed to hear. Can't Stop listening! It's one fair guide. the author took the time to present both the pros and cons of a person with emphatic personality. It can be difficult but with the right guide such as this, dealing with it is much more attainable. I would very much recommend this to all my friends and family. 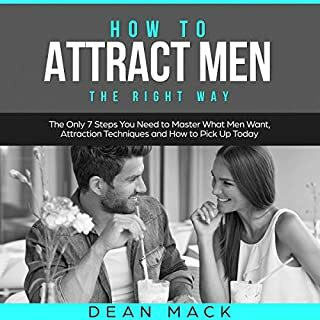 It's a great audiobook to listen to and building relationship with others is something everyone needs to keep improving on. It took me about a week to finish it as I listened to about 20-30 minutes a day. Great guide though in family and friend relationships. 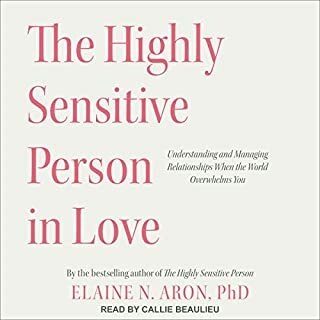 My favorite part is when it talks about why people are hard wired to be highly sensitive and how you can handle these people and their emotions. People are really not black and white and everyone is different. The important thing is to make sure you come off as a friendly person and adjust to their own thinking and personality. I do not think that this book is just for sensitive people but for everyone as well. And if anyone has dealt with any kind of trauma in their lives or as a child that causes you to be an enclosed person then I think this book is for you. I just appreciate how this book was able to connect with me and hope that other readers will feel the same. Recommended! What was one of the most memorable moments of Highly Sensitive? How to handle tough moments in your life like death, broken hearts, etc. Everyone will experience these and it's beneficial to know how to handle them now. What does Rachel Perry bring to the story that you wouldn’t experience if you just read the book? She has a very graceful voice! 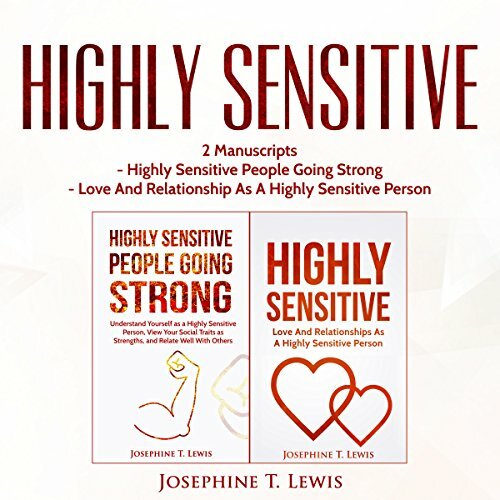 Great things about being highly sensitive as well as challenging aspects, with most of it told through personal stories These books provide proven tips and strategies for living as an emphatic person. These practical knowledge, can cope with their empathy and use it to improve our life! Good guide! 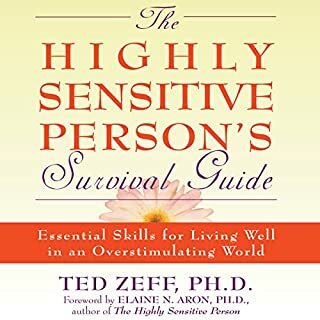 Would you consider the audio edition of Highly Sensitive to be better than the print version? Which character – as performed by Rachel Perry – was your favorite? These books provide proven tips and strategies for living as an emphatic person. This will inspire people who has this kind of disorder. These practical knowledge, can cope with their empathy and use it to improve our life! Good guide! 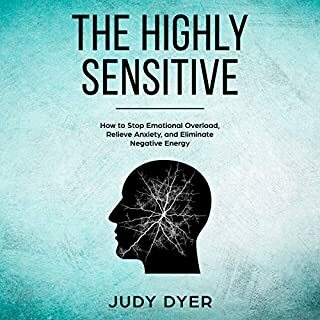 This book is an entertaining, helpful, and touching read about being a highly sensitive person. It is refreshing to see humor and even some attitude about this topic! It covers a lot of ground, from learning to better accept yourself, great things about being highly sensitive as well as challenging aspects, with most of it told through personal stories. I would definitely recommend this to anyone learning about how to deal with being an HSP and feel better about accepting yourself. I decided to read the book after watching a youtuber reviewing it and I'm very glad I did. It has helped me to realise that being sensitive is okay , infact alot of the time it's an advantage.I also like that it gives coping strategies on how to help dampen too much stimuli and leave situations I feel uncomfortable in , as sometimes I find it hard to do. 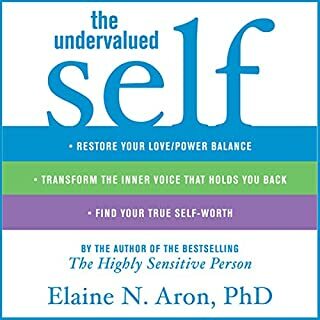 If you yourself believe you are sensitive or know someone who is , and want to understand their mindset more clearly, I recommend this.